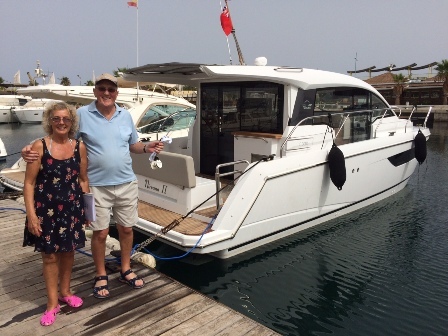 Big congratulations to Geoffrey and Evelyn who took ownership of their brand new SEALINE C330 this week here in Torrevieja Spain. The boat will be showcased at the Barcelona boat show in October. Please give us a call on 0034 965 708 542 for more info on how to get your hands on one of these beauties ! !